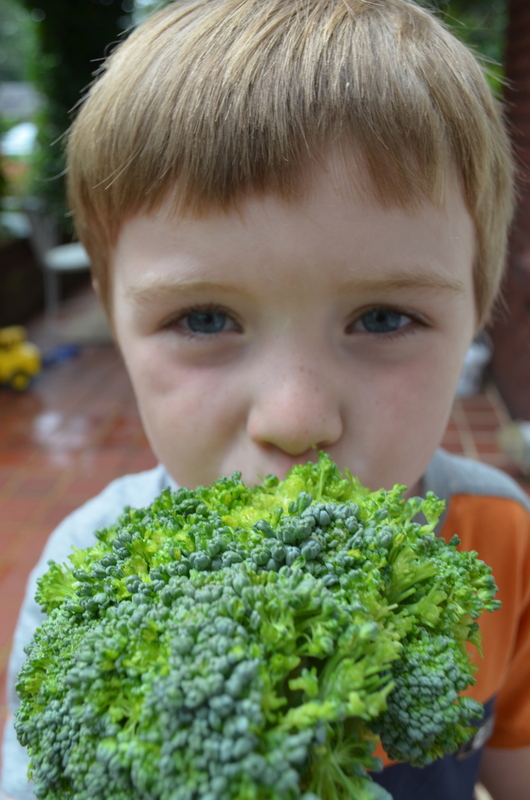 Just in the past week, I’ve been harvesting the best broccoli I’ve ever grown. 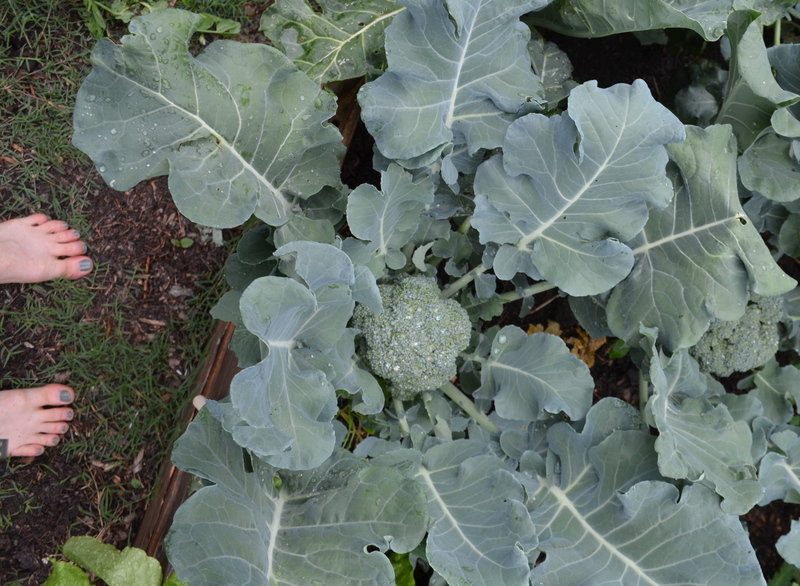 It is super-crunchy, very tasty, and robust enough to have warded off the usual attack of the cabbage worms. This broccoli doesn’t even make it through the front door without my 5 year old chomping into the florets. He loves to help me find the crowns that are ready, then he waits stealthily until I’m occupied with pulling up a weed or picking another veggie — and he starts chewing away at it. This broccoli is so good I’ve been just barely steaming it if I do cook it at all. Now, in order to get my younger boy to eat it I have to put butter on it. But I’m just happy he likes it too especially considering how picky of an eater he can be. The cauliflower plants aren’t quite ready yet. I am curious if this guy will attack them post-harvest as voraciously as he does the broccoli….. I always seem to be in the garden barefoot. Note inadvertently color-coordinated toenail polish shade. Trying to think of a good new cheezy name for that color…”Broccoli Breeze”….